Damian “Jr. 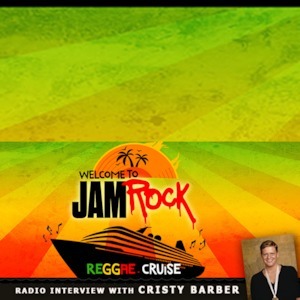 Gong” Marley invites you to take a journey to Jamaica with him for the 2nd Annual Welcome To Jamrock Reggae Cruise. Leaving Miami with stops in Montego Bay, and Ocho Rios, there are two 5 night cruises that will be the ultimate Reggae music adventure. Our guest today Cristy Barber fills us in on the team building and motivation for this annual event. Please believe, the line-up and execution of this cruise is all about quality entertainment and showcasing the diversity of our reggae genre. In this mix you will also hear some of our favorite tracks from the Ghetto Youths International.